I am finally making headway on some baby projects, and just as I had hoped they are helping my heart prepare for my little boy. To be honest, I was a bit of emotional wreck last week. 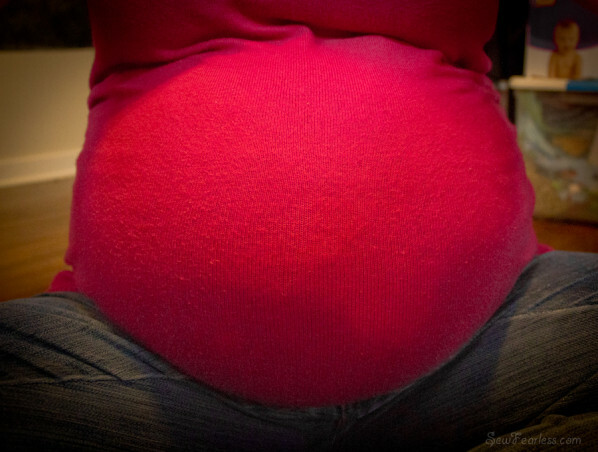 Andy was away for school, and although I had plenty of help caring for the kids, I felt so raw and vulnerable in my greatly pregnant state. As soon as he arrived back home and I was able to pull out some baby things, I felt my spirit relax and flutters excitement creep in. You guys, I’M HAVING A BABY! SOON!! 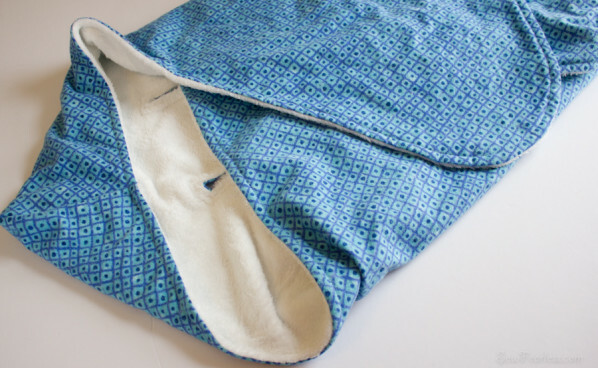 I made a car seat blanket out of flannel and “ultra cuddle” fleece following the directions found at The Complete Guide to Imperfect Homemaking. 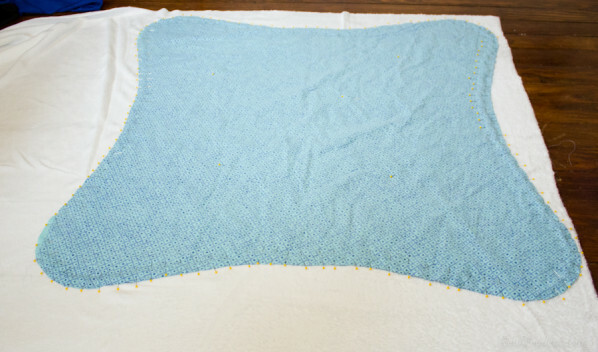 It’s a very simple straight-forward project that I, of course, turned complicated by using a trickier fabric. (The tutorial uses two layers of flannel.) On the plus side, I learned a lot and now I have some tips to share! 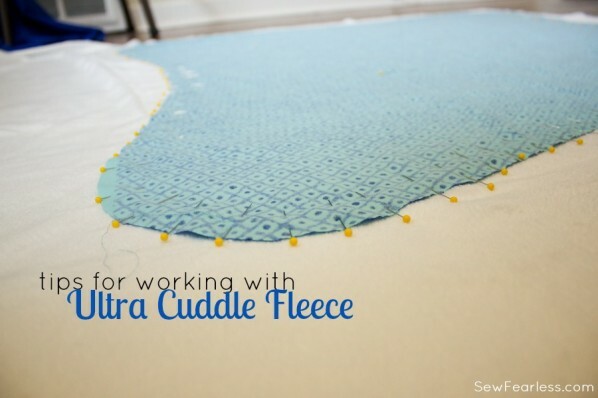 These tips are very similar to ones for working with “minky” fleece, but Ultra Cuddle is even stretchier and softer than minky. Seriously, dreamy soft. I want to make myself a blanket out of Ultra Cuddle now. Lay it out without stretching on a smooth flat surface for cutting. Use lots and lots and lots of pins. The fabric shifts and moves waaaaayyyyyyy too much. You need to keep it steady. 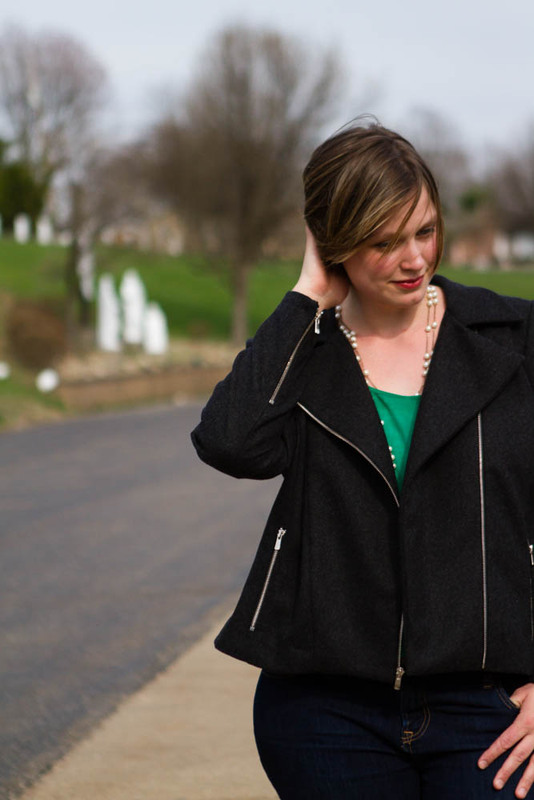 In this case, pinning is worth the time and effort. 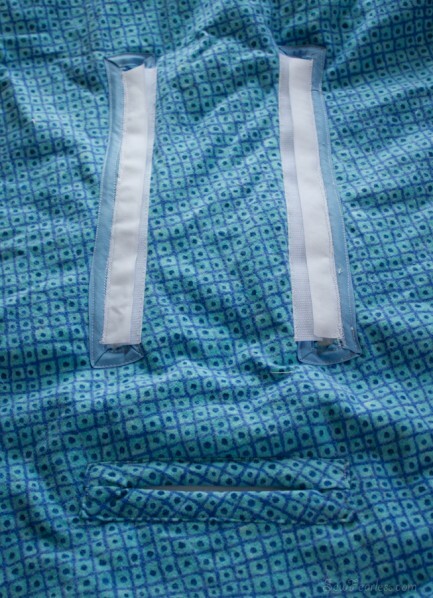 This worked well for both sewing it to a woven (flannel) and another fleece (anti-pill fleece). 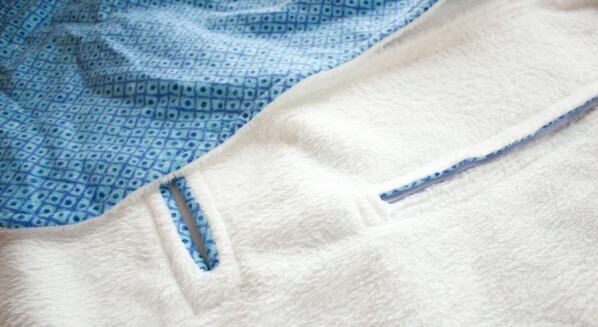 Unlike other tips of fleece, ultra cuddle frays. All edges need to be finished. This is why I bound the openings in the blanket. I’m not terribly proud of how it looks on the back, with practice I could do better, but I will be able to wash the blanket without it falling to pieces. 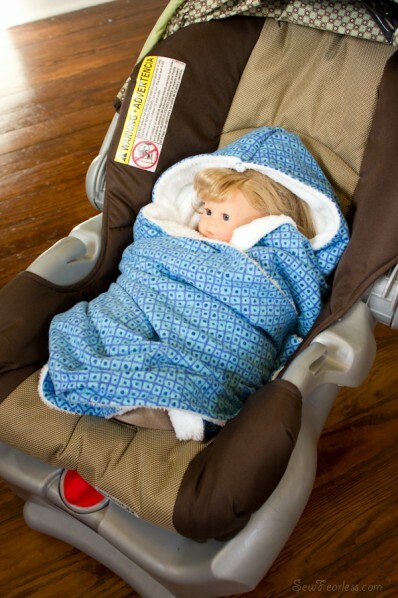 Gladys has been having fun tucking her “babies” into the freshly-cleaned car seat. I wonder what she will think when it is a real baby in there? More importantly, how am I going to fit this car seat in our van with all the other car seats and boosters in there? I should probably figure that out. soonish. There was still some Ultra Cuddle left over, and all that softness just couldn’t be left to waste. 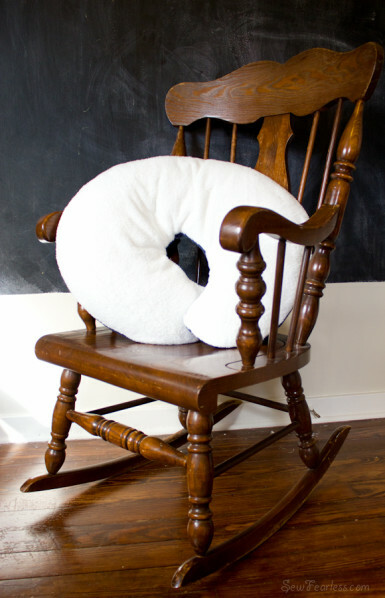 So, I made a new cover for my well-loved Boppy. I didn’t follow a particular pattern or tutorial. My “pattern” was just a trace-off of the old cover. 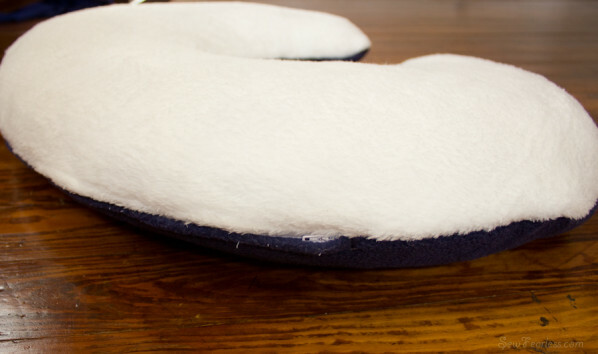 The two layers were sewn together with a 22 inch zipper in the outer seam for inserting the pillow. If you need a tutorial, I recommend this one by Grosgrain. 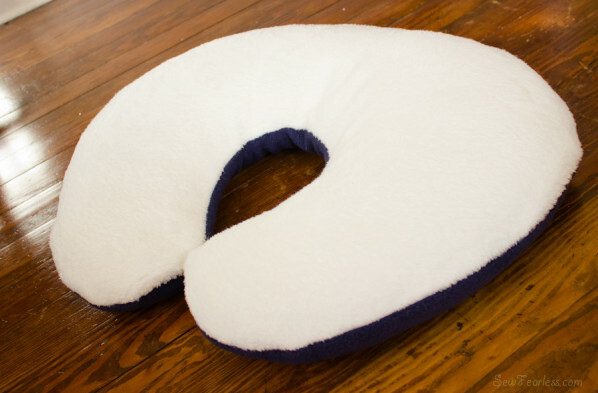 You can just as easily do this in regular fleece, flannel, or quilting cottons. Thanks for this. I just recently saw it on Pinterest. 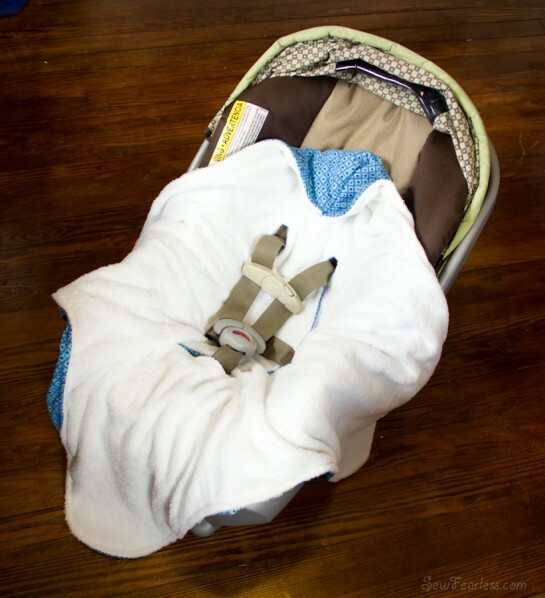 I had a question…..how did you bind the edges for the car seat cut outs you make. That seems like it would be tricky to do if the blanket is already right side out.